Do these trucks have rear sway bars from the factory? 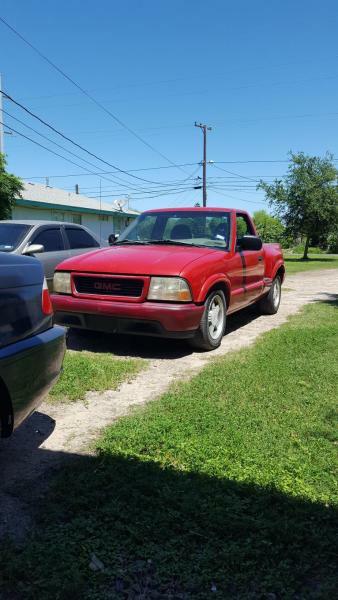 Even the 4 cylinder single cab trucks? Any ZQ8 truck should have the rear sway bar. And thst zq8 is a code somewhere on the sticker in the glove box? It is...if it's a ZQ8 equipped truck. Assuming the glovebox door hasn't been swapped. ZQ8 = "Chassis Package, Sport"
Yes, that's a RPO code that will show on the SPIDS in the glove box. Tip: Sometimes it's easier to take a picture of the sticker with your phone and read the sticker than it is to read the sticker, especially if the sticker is stuck on the back of the floor of the glove box like many are. ZQ8 package on the S10/Sonoma included a rear stabilizer bar (borrowed from the 4 door blazers) with bolted on brackets for the end links to attach to the frame, 16" wheels and tires, slightly stiffer, slightly lower springs and a quicker ratio steering gear box. From the factory, that was a complete package, either the truck got all of that (with the ZQ8 on the sticker) or the truck got none of that. If your truck has fairly stiff rear springs and "rides like a truck," but doesn't have ZQ8, it might have the Z85, "chassis package firm ride, high payload." If you have those springs, you probably don't want or need a rear stabilizer bar. You've already got more rear stiffness than you can use with most tires, and the truck with Z85 springs leans generally slightly toward oversteer from a handling balance perspective, especially if the bed is empty. A rear bar is going to increase oversteer (in NASCAR terms, it "loosens" the handling), and unless you want to go drifting with your truck, that's probably not a good thing. Z85 springs are more common on 4.3L V6 trucks, but I've seen a few trucks with tutus (2.2L 4 banger) with Z85 springs. The softer springs are RPO code Z83, "chassis package, solid smooth ride." Of course, these trucks are all over 15 years old now, so there's always a possibility of previous owner(s) modifying the suspension, springs, shocks and whatever. I got this from the original owner, and it appears totally stock with only 160 something thousand on it. 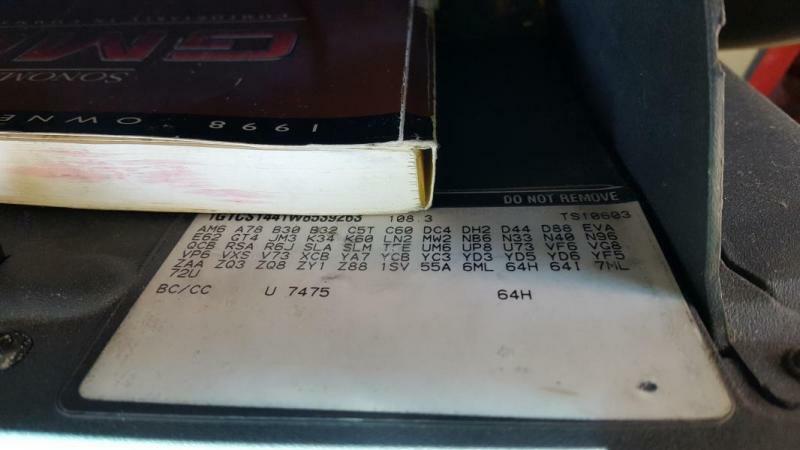 I took a pic od the glove box sticker though so you guys can see it and see if anything wierd pops out but it does have that zq8 code on it, towards the lower set of alpha numeric codes. It does have rear sway bar, a monster size front sway bar, 16 in camaro looking rims, and looks really low. Wow. It is a ZQ8 truck. A ZQ8 with a tutu. I don't think I've seen ZQ8 and LN2 on the same truck before. It makes sense, though. If you can't accelerate quickly, better not to slow down as much for the twisty bits of road. Read my post above, you got a lot of nifty suspension/steering stuff on that truck, including the rear sway bar and the wheels. There's a lot of Xtremes with the 2.2. They have the ZQ8. But having a super cool sport truck will totally match my awesome lightning p-38 recumbent racing bike.